Website design for restaurants | VISIONEFX updated the ASP .NET database programming to improve functionality for gift card purchases and general merchandise purchases over the website. We also created interactive careers submissions page and customer feedback forms that are sent to top level management in the company. VISIONEFX also converted this legacy website design to be mobile responsive. 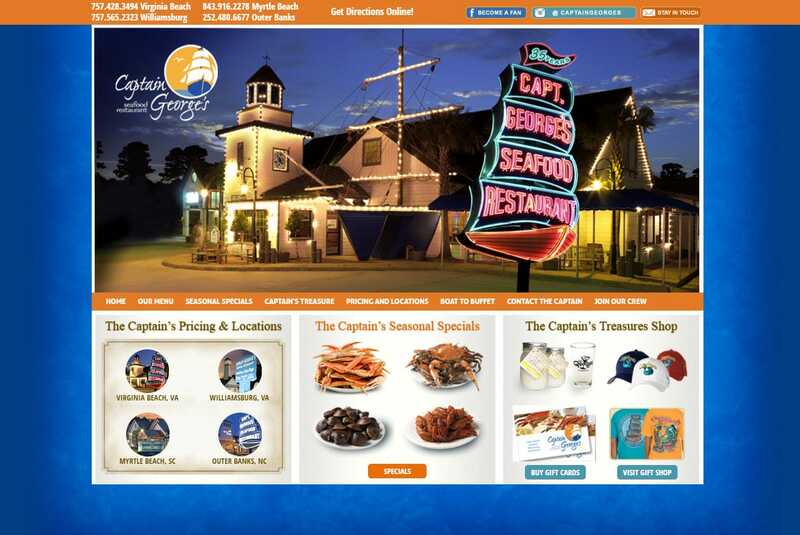 Through out the year we work with the Captain Georges management team to develop creative ads to compliment online specials for holidays and special events through out the year. VISIONEFX is a web design company based in Virginia. We provide some of the best web site design services for restaurants. Our website services include; Custom web design, Web development, E-commerce web design, Word Press web design, Joomla web development, SEO and Website maintenance services. For more information call: (757) 619-6456 or contact us here.